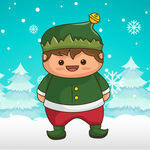 Goodbye Elf — iOS app Sold on Flippa: Game Similar to Hello Cats! Fun + Good Game To Invest In! Game Similar to Hello Cats! Fun + Good Game To Invest In! I can help by changing the ad codes for you after the sale.